The Absolute Alignment is my premier concierge coaching program designed for successful, strong women. You’re a busy, successful & professional women. You are smart and confident. People look up to you. You’ve achieved most of your goals except for one area in your life: your body & weight. Why is it that one part of your life feels like failure? I know you’ve tried everything… you’ve been on and off the wagon more time then you can admit. Your body is tired, exhausted and doesn’t respond anymore. By now you know that the solution is not with the next diet… but what else? I’ve been there, exactly where you are now. Frustrated, thinking that my body was working against me left wondering what I had done to deserve this. When alone with myself I felt broken. I was broken. But from the outside, I made sure no one could tell. I was “confident” and powerful force. Overperforming at all time. Strong for everyone and everything except me. I pushed myself and my body until I collapsed on stage in front of thousands of people. I know what you need… because I had to do the same to finally “fix” the issue. You need someone who gets you, your body and most important your mind. A woman who been there done that too…someone has strong as you. I can be that women. I can be your coach. Now I don’t coach every woman that comes to me for many reasons… but most important because we need to be the right fit together. My private practice has been closed for years but recently due to the success of my group coaching program The Going Beyond The Food Academy I’m able to start one one one work again. I’ll be taking on 3 women’s per month for fall 2018. Total of 9 women for remaining of 2018. 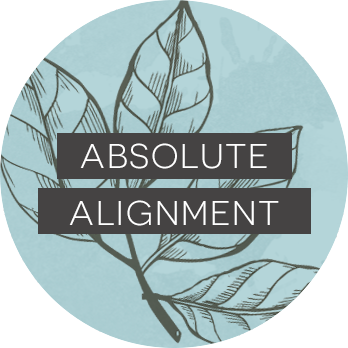 The Absolute alignment is my 3-month concierge coaching program, an integrative approach that will explore your current relationship to food, weight, and health from a physical and emotional perspective and lead you to complete transformation. Book a free strategy session with me so we can make sure we are the right fit together and that I can really help you and “rock your world”. Will discuss your goals, what you’ve tried to resolve the outstanding issue(s) and finally what I as the solution that’ll lead you to your goals and Absolute Alignment.